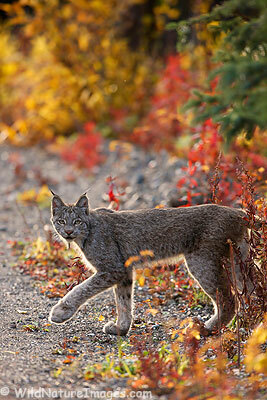 Wild Lynx, Denali National Park, Alaska. Wow, what a trip this has been! But the highlight was this lynx – I have been trying unsuccessfully for many, many years to capture an image of a lynx, but a couple of hours ago that all changed. It is late and I’m tired, so I will write more when I get back to Seward – but I had to share my excitement! Let me be the first (on here) to congratulate you .. that’s awesome man .. way cool! Super happy for you – killer image. Great Image!!! I am so jealous. Love the color surrounding and the subtle backlighting on the fur. Congrats! How was the weather? Wow! I don’t blame you for being excited. 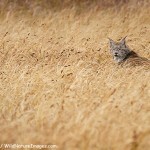 Excellent image, much more than just a shot of an elusive subject. Looking forward to more from Denali. Great! A Nemesis animal off your list! Super Shot. 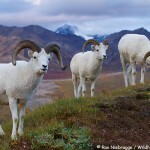 These are hard animals to see let alone photgraph. Awesome, Ron, Beautiful animal. I wanna see it larger!! Congrats Ron! You should take over Galen Rowell’s former column in OP. WOW! An excellent example of where patience pays off. So what’s next? That would make a good future blog post, what animals are on your wish list. Congratulations! We can’t wait to hear the story. Beautiful shot! Just made the long drive back to Seward – daydreaming about this experience made the drive a lot easier! Dave – the weather wasn’t bad, some sprinkles and clouds, but above freezing. Yesterday (Monday) was sunny, and the mountain was out most the day. MG – I hear you – I gotta find a new theme that supports larger images. Mark, now wolverine pretty much stands alone on my Alaska dream list, with a whole bunch of animals in a very distant second – animals like mink and martin. Outside Alaska, bobcat and mountain lion are at the top of that list. At this point, I would love to just have a quick glimpse at a mountain lion or wolverine! It’s so nice to see a real photo of an animal. I’m tired of all the game farm photos! Great job! Amazing, Ron! What a beautiful creature. And the fall foliage too! Wow! Wow! What a magnificent photo! I have been following your blog and wonderful photos for some time and your Mother’s blog even longer. You are very gifted and talented people. P.S. I have been fortunate to have visited Alaska four times, and have had the sheer joy of taking the shuttle bus to Wonder Lake in Fall. I’m with you Jerry – I am not a fan of captive animals or photography. Hey Ron, beautiful image! Congrats! Hey Carl – but you already heard the story :). I will add more – I’m just kind of excited about some of these other photos, so I thought I would post them first, and then go back to the lynx. Wow Ron, some really killer shots you got going here. Looks like you had an incredibly productive trip. Thanks Mark! It sure was productive – fun, and productive! Yeah he does – just bigger! Amazing that you got all those great shots with one trip to the park. I did that drive in 2007, and didn’t get nearly as lucky, nice job. I have a good lynx shot too, but not as good as yours, mine was a result of predator calling in below zero temperatures, and the camera barely worked, it was about five below zero. OK, I see now that you had a few trips into the park in the same week for those shots, still impressive. Yeah, this was a great trip. I have made a lot of trips to Denali, but this had to be one of the most productive. By the way, that black and white lynx image of yours if beautiful!